Perhaps the only thing worse than suffering with a painfully large and life-altering tumour is watching your child follow in your footsteps, walking down the same road with the same condition. Like all mothers, Valerie wished only the best in life for her nine children. When she discovered a small bump behind the ear of her 7-year-old daughter, Edith, she was more than just concerned. 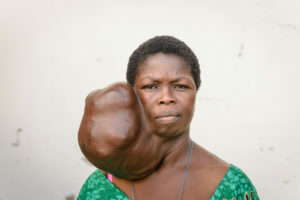 That’s because, for two decades, Valerie had lived with a large tumour on the side of her own head. That was five years ago. 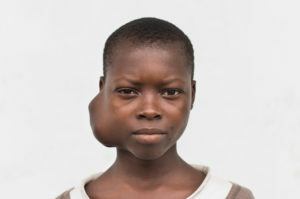 Edith grew into a beautiful young lady, but sadly her tumour grew with her. 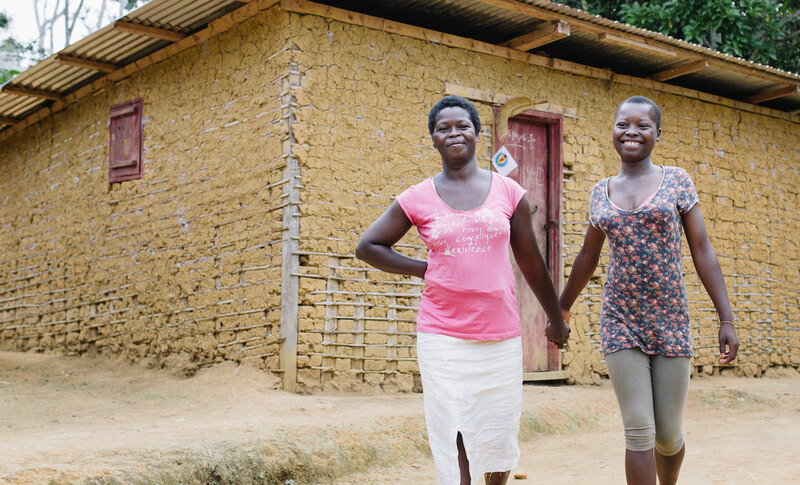 At their home in Cameroon, Valerie and Edith were among the 5 billion people in our world who don’t have access to safe, affordable, timely surgical care. Their tumours — benign and growing on their salivary glands — typically would be treated very early in the developed world. But, because the family lacked access to safe surgery, these tumours continued to grow. Valerie’s tumour had grown to weigh almost 9 pounds, and it foreshadowed what would have happened to Edith if she weren’t able to get treatment. As it started to grow ... I was scared said Edith, who is now 12. I was worried it would grow as big as my mother’s and disfigure my face. But Mercy Ships provided hope and a solution to change the future for mother and daughter. The international nonprofit was docked in Cameroon from August 2017 to June 2018, and volunteer medical professionals provided more than 2,700 free surgeries. Valerie learned about this life-changing opportunity and made the agonising decision to take a risk, leave her family and travel to the ship in hopes of receiving treatment that would change her life — and her daughter’s. Six weeks later, Valerie returned to the village alive and well. She’d lost her tumour but gained hope for Edith. When Valerie returned to the ship with her daughter two weeks later, she drew strength and confidence from her own experiences. While other mothers in the waiting room were worried, Valerie felt peace. Valerie and Edith also found comfort from being treated by the same surgeon, longtime Mercy Ships volunteer Dr. Gary Parker. 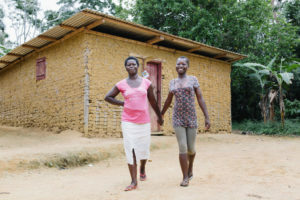 Now that Edith’s tumour is gone thanks to Mercy Ships, she and Valerie finally can begin to imagine what her future will look like — an education, a marriage and maybe even children. Edith hopes that one day she can become a mother as supportive and loving as Valerie. Now, when I fall asleep at night, I dream about my future, where I can make a better life for my family.